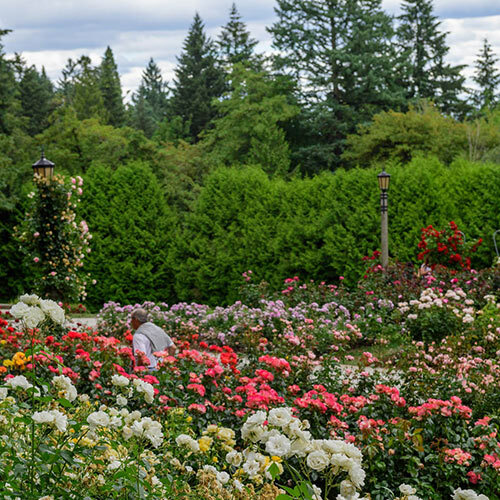 From the strong, disease-resistant performers bred in modern efforts to the much-loved classics home gardeners adore, Landscape Rainbow of Roses will provide beautiful lasting color in the garden. These five varieties are randomly selected from our best for landscaping. Mostly, they are shrub roses. However, there are a few hybrid tea and grandiflora roses in the running that create such magnificent shows in the garden. You should get a nice variety of colors as well, as we've put an array of bloom colors in the mix. 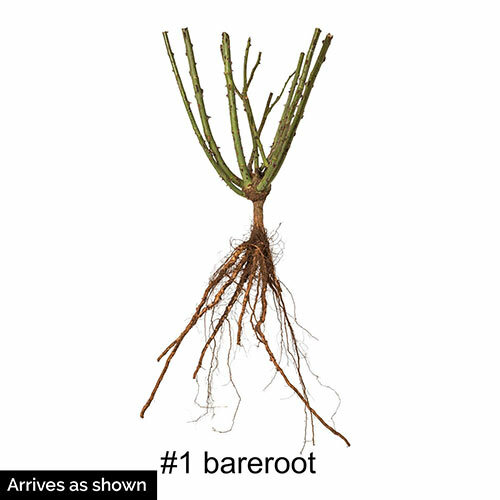 Each bareroot rose is hearty and robust. They will dig down and form good root systems in the first year, plus give a little color to the garden. Then in years to come, they will develop into full, beautiful habits with tons of blooms to enjoy through a long season. Each variety you receive will be labeled. Planting InstructionsDig a hole slighly larger than plant to accommodate roots (about 15-18'' deep), fertilize, water well and apply 1-2'' of mulch.. Plant multiple roses 2-3 ft. apart. Bud union should be about 1-2'' below ground. Pack a small mound of soil around the plant to help retain moisture.